This structure was a barn from the Neithamer Farm, Woodland. 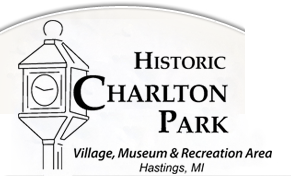 It was reconstructed and opened to the public in 1971. A cooper made and repaired barrels, kegs and buckets. 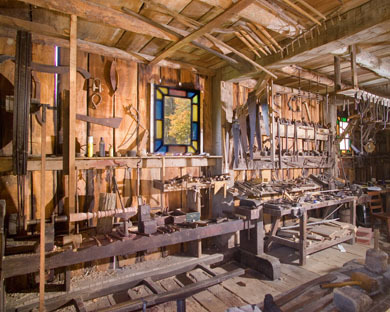 The carpenter made and repaired nearly everything made of wood. 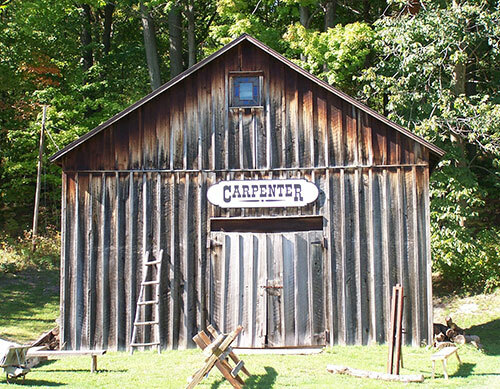 Carpenters were the house-builders of the community.